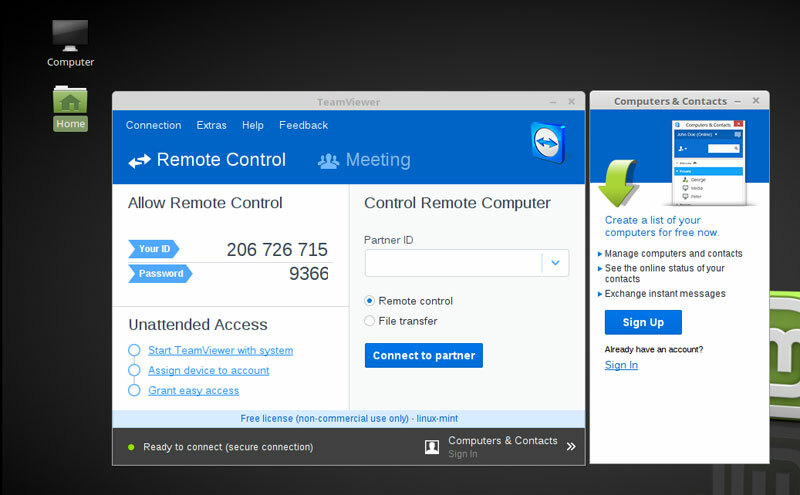 In this article a I am going to show you, How to install teamviewer on Linux Mint 18. To Install Teamviewer on Linux Mint, first we need to download Teamviewer for Linux Mint. Then Install Teamviewer using GDebi package Installer. Go to Teamviewer Download page and download the Teamviewer 11 under the Ubuntu, Debian. Save the installer to your computer hard drive. Right click on the downloaded file and click "Open With GDebi Package Installer". From the Installer Click on the Install Package button to Install Teamviewer on Linux Mint. After the installation is finished, You can open the Teamviewer 11 from the Linux Mint Start Menu, Under the Internet Subcategory. That is how we can easily Install Linux Mint Teamviewer package, Now on you can use Teamviewer 11 as your Remote Desktop Manager. You can use the Teamviewer client to access your Linux Mint Desktop from a Remote Computer.